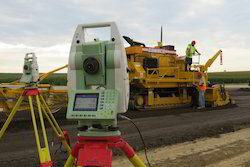 Our service range includes a wide range of total station survey. With the help of our experts, we also provide various survey services such as surveying transmission lines, road alignments and property development. Furthermore, as per the drawing of our clients, we mark the ground location. These surveys are conducted by experienced surveyors & engineers that meet international standard and norms.